All books have links to Amazon.com; however, if you are interested in author signed copies or wish to place a large order of books, the publisher will provide a discount. The publisher, Condor Publishing, Inc., may be reached by writing to contact@condorpublishinginc.com or calling (626)825-1415. 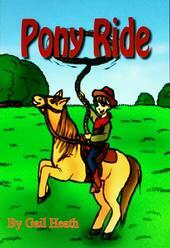 PONY RIDE is an exciting rhyming book for children of all ages. Saddle up and come along on an adventurous ride across green meadows, past many animals, and on up the hillside to the roundup where calves are being branded. This is a great picture book to introduce the young cowboy or cowgirl to the thrill of the West. My dog Fred has a problem and Mom and Dad are upset. A fun-to-read rhyme for all ages. 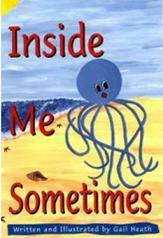 A whimsical octopus portrays contrasting emotions and then invites young readers to see those feelings in themselves. Un pulpo juguetón muestra emociones contrastantes y luego invita a los jóvenes lectores a ver esas emociones en sí mismos. 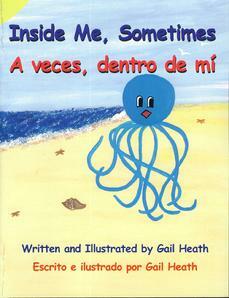 A whimsical octopus portrays contrasting emotions and then invites young readers to see those feelings in themselves. It is a great book for acknowledging, in a non-threatening way, that each person has countless of emotions that are not always consistent. 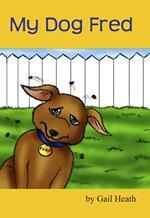 The book appeals to readers of all ages. Jeeper loves to fish. 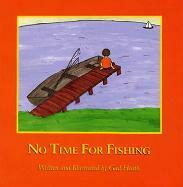 Jeeper and Dad plan to go fishing but life and commitments get in the way. On three occasions events occur that prevent the fishing trip: Dad has an unexpected teacher�s meeting the first day, Jeeper does not pay attention and must stay after school the second day, and the third day Dad is not able to go. On that third day, Jeeper, feeling very disappointed and rejected, decides to clean their boat that is tied to the dock in front of the house. Jeeper goes to the shed to get cleaning supplies. While in the shed, he finds an old fishing magazine, sprawls out on a lawn chair to look at it, and falls asleep. He awakens to a stormy night. A red glow flickers through the window. Jeeper looks out to see emergency vehicles backing a boat trailer into the raging waves. He is afraid that something horrible has happened to Mom and Dad. He runs to the house to find that Mom and Dad had the same fears about him. They thought he had forgotten the rule about never taking the boat out alone. They are relieved and happy to see Jeeper and at the same time gruff sounding. Jeeper eats dinner and Mom tucks him into bed. Jeeper felt warm all over as he remembered how happy Mom and Dad were to see him. �Fishing is something we can do another day,� he said smiling, and he closed his eyes.